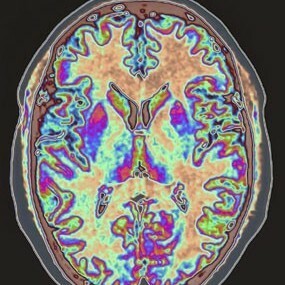 Researchers in Sweden have found that an antibody gives more exact information than regular radioactive tracers used in PET brain scans, which could lead to more effective diagnosis of early onset Alzheimer’s disease and improvements in monitoring the effects of medication. Counting over 100,000 people, Alzheimer’s is the most common dementia disorder in Sweden, with almost 5 percent of the over 65s having the disease and of the over 80s, around every fifth person. For the first time, researchers at Uppsala Universitet have succeeded in passing an antibody through the blood-brain barrier to act as a tracer for positron emission tomography (PET) imaging of the brain. The new study, published in Nature Communications, resulted in more precise information being obtained than with regular radioactive tracers. “The major advantage of monoclonal antibodies compared to regular small molecule PET tracers is their very high specificity. Our antibody binds soluble forms of amyloid beta, so-called protofibrils, which are probably the toxic form of amyloid and which cause the symptoms,” said Lars Lannfelt, professor of Geriatrics at Uppsala University and a chief consultant at Uppsala University Hospital. 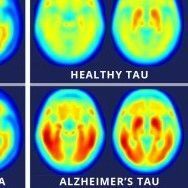 According to the researchers, PET imaging has made rapid progress in recent years as a method for diagnosing Alzheimer’s disease. The person being examined is administered with a radioactive tracer, most often via a blood vessel. Using the PET scanner, it is possible to see how the tracer is taken up by and distributed within cells or organs. The new PET method has been developed by researchers working at the PET Centre at Uppsala University and Uppsala University Hospital. This is the first time that a monoclonal antibody has been used for PET imaging of molecules in the brain. Such antibodies are sometimes used as tracers, but usually in order to diagnose cancerous tumours in the body. In the brain, however, the uptake of antibodies is limited by the blood-brain barrier. In order to get through this, researchers have developed a fusion protein which increases the passage by a factor of about 15. Like a Trojan horse, an antibody is administered to the brain via another antibody which deceives a receptor on the vessel wall. 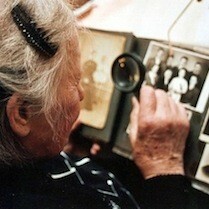 The study has been carried out using live transgenic Alzheimer mice. “Compared to traditional tracers which give more statistical/unchanging signals as the disease progresses, with our method you can monitor its progression. This is a great advantage since the symptoms of Alzheimer’s disease often appear gradually over a period of 10-20 years. The method increases our ability to see the progress of the disease and to assess the effects of medication,” said Associate Professor Stina Syvänen. Several new pharmaceuticals for treating Alzheimer’s disease are undergoing clinical phase II and III testing. Their development is made more difficult as there are no methods for measuring their effects on patients at molecular level. A new monoclonal antibody, BAN2401, developed in Uppsala, is currently being tested in a major international study involving approximately 800 patients in Europe, Canada, Japan and the USA. In Sweden, three University Hospitals are involved. Uppsala, Sahlgrenska (Göteborg) and Skåne (Malmö/Lund). The researchers at Uppsala are currently working on a similar PET method for Parkinson’s disease. In the future, it is expected that it will be possible to examine other brain conditions using these techniques, for example, depression and bipolar disorder.